White linen tablecloth cleaned by Lakeland Laundry, Abbey Road, Barrow-in-Furness. It would have been collected from a house, cleaned, then returned the next week. 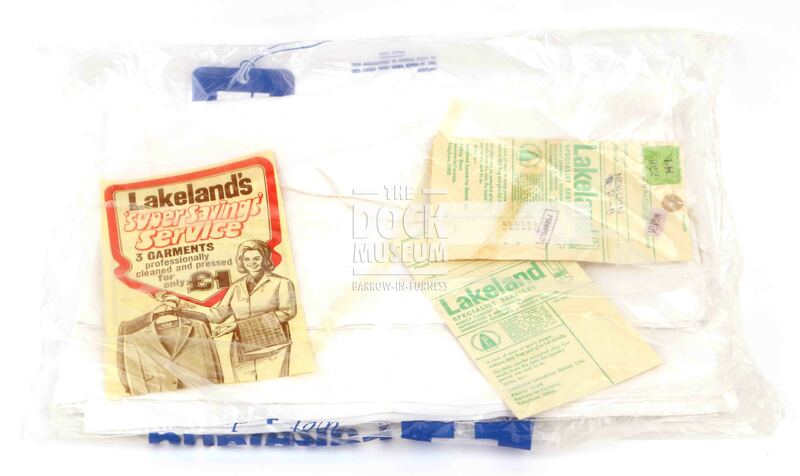 Tablecloth remains in unopened plastic cover with two receipts and an advertising flyer within.